Saints Gab - Page 3 of 267 - The Definitive New Orleans Saints Blog! Saints quarterback Drew Brees came up with a unique way to thank the many people who helped him become the NFL’s all-time passing leader according to Josh Katzenstein of NOLA.com. Brees broke the record on October 8 before a national television audience on Monday Night Football during a blowout win over the Washington Redskins, surpassing Peyton Manning’s previous mark of 71,940 yards. 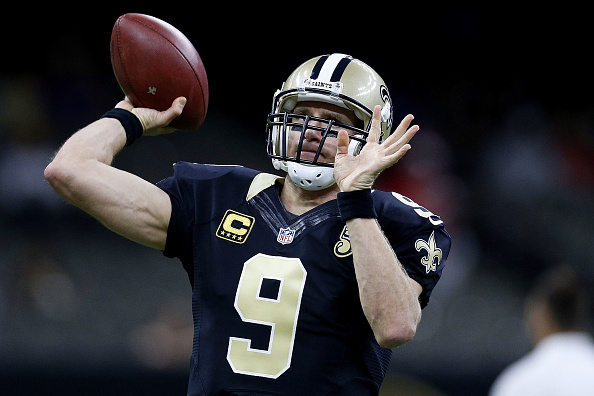 Brees now has 73,908 passing yards and counting. 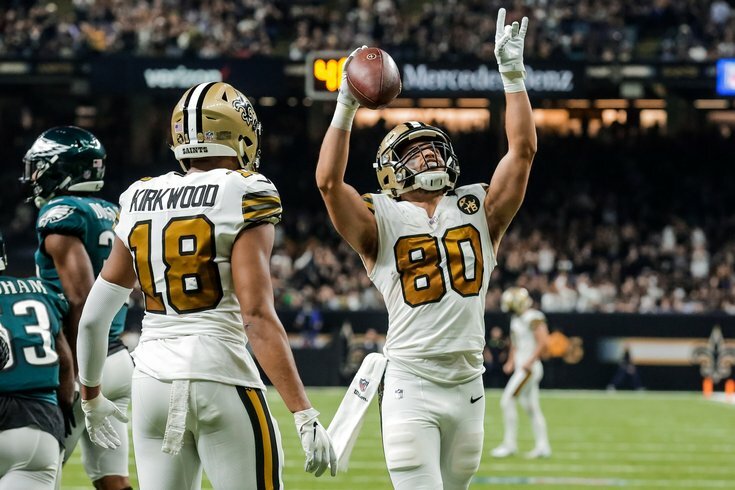 Saints general manager Mickey Loomis as well as the team’s public relations staff helped him compile the list, which included 15 current pass catchers, 84 former pass catchers, seven current blockers, 49 former blockers, 11 coaches and eight other contributors. Among the contributors are Saints owner Gayle Benson, his throwing mechanics coach Tom House and Dr. James Andrews, who performed his shoulder surgery in January 2006. 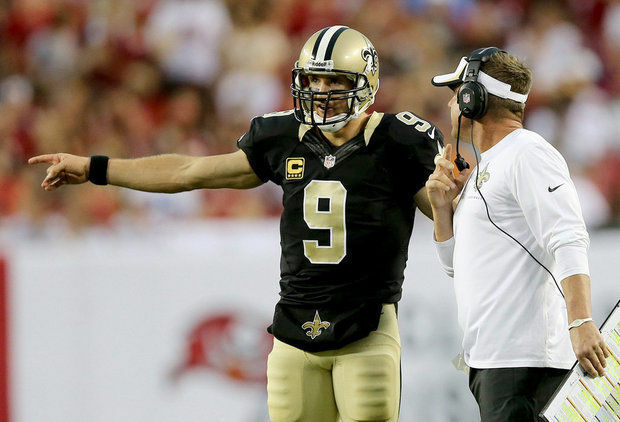 “I wanted to do something for everybody,” Brees said. “Obviously, the emotions that came after that and just the reflections. It was good that we were going into a bye week because it gave me a chance just to take a deep breath, and you just start thinking about all the guys that had a hand in that. And so I think naturally you start thinking, OK, well, a lot of people have caught those balls. So, let’s get a list of all the pass catchers and the number of catches and the number of yards, and let’s put together a game ball for them and put those statistics on there for them, so they know that they have a piece of this and they were an important part of it. Wrote a note to them as well and signed it and included that in there. Each football has the recipient’s name. For former receivers, it included their receptions and receiving yards from Brees. The Saints sent out the balls for Brees earlier this week, so they’ve been arriving the past couple days. And Brees said he might still send out more balls as other participants come to light. It is a classy move by a classy individual. 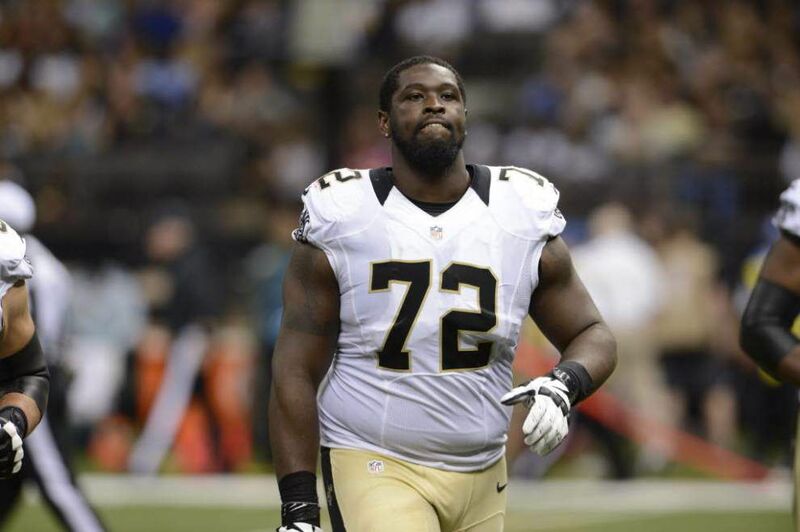 Saints offensive tackle Terron Armstead will miss his fifth consecutive game as the team has ruled him out for Monday night’s game against the Carolina Panthers, Josh Katzenstein of the New Orleans Times-Picayune reports. Armstead (pectoral) was limited in practice on Thursday and Friday, but he did not participate on Saturday and will not play Monday in Charlotte. Every other Saints player participated fully on Saturday and will be available for the game. Armstead, who suffered his injury in Week 10 against the Bengals, had the same practice schedule each of the past two weeks, participating in a limited fashion the first two days before sitting out the third session. Coach Sean Payton offered little clarity when asked about Armstead on Saturday. “Look, each week we do what we think is best relative to his health, and we really just go from there,” Payton said. The Saints are claiming tight end Erik Swoope off waivers from the Colts on Wednesday and releasing wide receiver Brandon Marshall, Josh Katzenstein of the New Orleans Times-Picayune reports. Pro Football Talk first reported the addition of Swoope, and ESPN reported Marshall’s release. Both moves were listed later on the NFL’s transaction wire. Swoope, 26, has played in 24 career games and has 23 receptions for 384 yards with four touchdowns, three of which came this season. Swoope, who was waived Tuesday, went undrafted in 2014 out of Miami, where he played basketball for four seasons. The 6-foot-4, 255-pound tight end made his debut for the Colts in 2015 before. He played all 16 games in 2016, missed 2017 with a knee injury and played in seven games this season. Marshall, meanwhile, leaves the Saints after four games being among the inactive players. 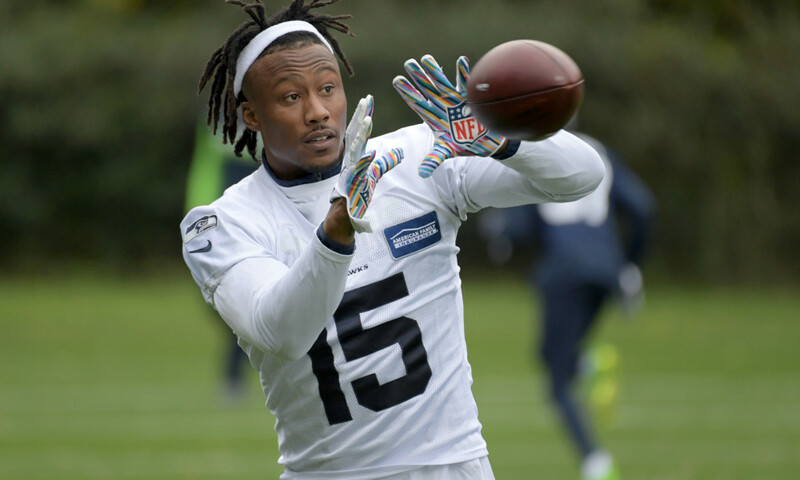 The 34-year-old was effectively a depth addition after injuries to Cameron Meredith and Dez Bryant, but Marshall couldn’t move up in the receiver group with Michael Thomas, Tre’Quan Smith, Keith Kirkwood, Austin Carr and Tommylee Lewis. The Saints and Panthers are set for a Monday showdown in Carolina, and today we’re ready to see what you think of the game – and one lucky winner could get themselves an amazing Drew Brees bobblehead from Forever Collectibles! All you have to do is simply leave us a comment with your guess of the final score of Monday Night’s Game between the Saints and Panthers! Looking for the perfect Christmas gift for that Saints fan? Forever Collectables has your answer, and they make it easier than ever to get the best gift for that special someone on your Saints Christmas list this year with their awesome line of unique bobbleheads! There’s a ton to choose from, like Alvin Kamara, or how about a great Saints holiday nutcracker! Don’t pass up this chance to order these awesome bobbleheads and other Saints items today and get them in time to play the perfect Santa! 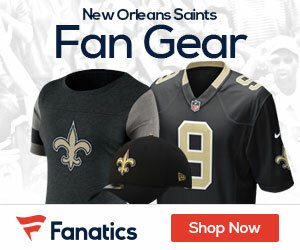 Click HERE to check out the entire Saints Collection – and if you’re buying for a fan of another team – no worries – Forever Collectables has you covered with EVERY team – click HERE to see their entire NFL line! 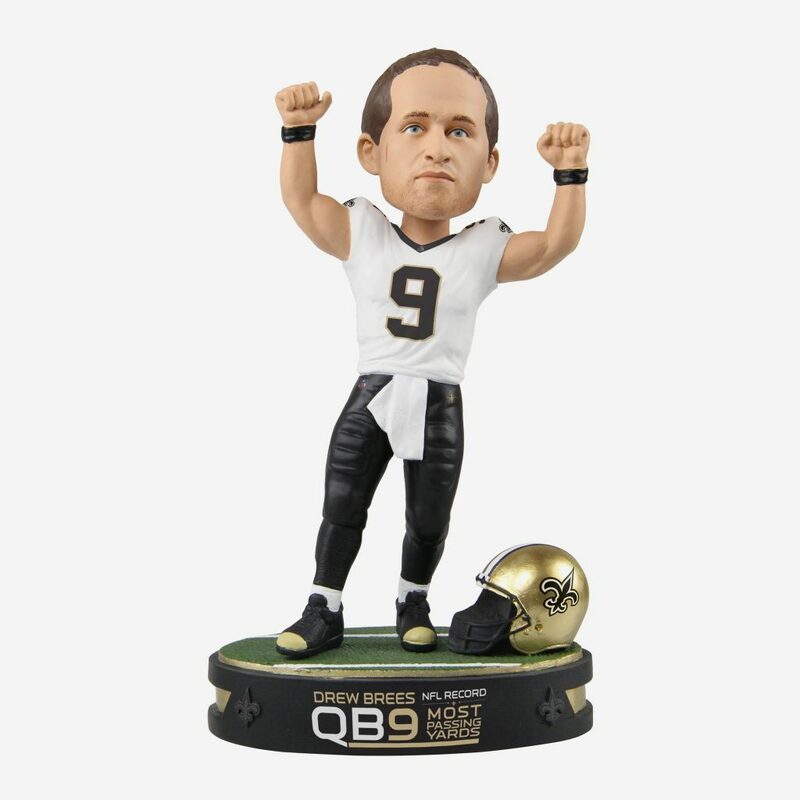 Don’t forget to leave us your best guess at Monday’s final for a chance to take home a sweet Drew Brees bobblehead! Good Luck! It was a big day for the Saints and their offense, as they cruised by the defending Super Bowl Champion Eagles at home 48-7. 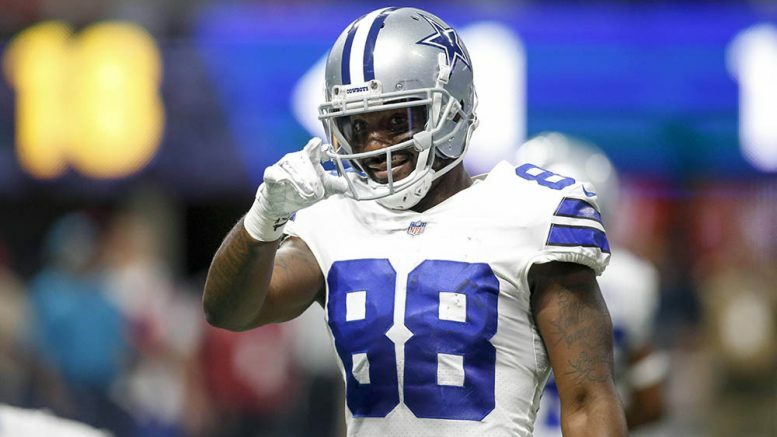 Saints receiver Dez Bryant responded to reports that he may have torn his Achilles tendon Friday during practice, calling it “the ultimate test” on Twitter, the New Orleans Advocate reports. “Things was just starting to heat up for me… I won’t question the man upstairs… this is the ultimate test… thank you everyone for the prayers,” Bryant tweeted out. 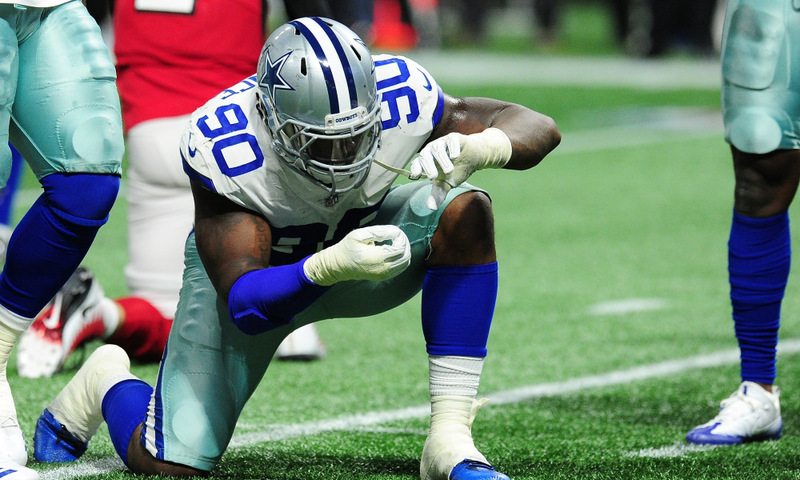 The injury, which could put Bryant on the injured reserve list for the rest of the season, happened two days after he signed a 1-year deal with the Saints.